Based on the list of the different advantages and disadvantages of leasing, it is already easy to imagine scenarios where a lease can be very beneficial and offer more value than financing or buying a car. However, it can still be difficult to tell if a lease is the right choice for you, since that depends on both your personal driving habits and your specific financial and automotive needs. To help you decide on whether a lease would work for you, there are a few statements below describing both people who are likely to benefit from leasing and those who may find leasing to be more difficult or less rewarding. Based on which statements you find describing your situation more closely, you can get a sense if a lease is likely to be the right choice for you. You tend to always drive new cars and upgrade them after a few years. Leases last a few years and it is very easy to move from one lease to the next seamlessly. And thanks to a pre-set residual value, you never have to worry about having to roll over negative equity on your previous car when you upgrade. You are looking for a low monthly payment or don’t want to have to spend a lot of money up front. Leases come with much lower monthly payment than financing on a similar car, and frequently require much less money up front. If having a low payment is important to your budget or you are not able to raise a large down payment on a short notice, it can be much easier to accommodate your financial needs by leasing your car. You feel safer when your car is under warranty. It is easy to arrange your lease terms so that your leased cars are covered by the manufacturer’s warranty the entire time. This can provide both peace of mind and an extra financial assurance in case of problems with the vehicle. You want to try before you buy. A lease allows you to get a feel for the vehicle over a couple of years, allowing you to make an informed decision as to whether you want to buy it out at the end of the lease, buy a brand new model of the same car, or purchase or lease something else entirely. You don’t drive many miles or put a lot of stress on your car. If you find yourself driving an average or below average amount of miles per year and avoid things like off-roading or motorsports, then a lease could save you a lot of money compared to financing your car, without affecting your driving habits significantly. If you find yourself agreeing with the above statements, then a lease could be right for you. You can do further research on leasing and see what kind of leasing deals available on the cars you are interested in. However, there are some other things to consider as well before starting your lease research. If the statements below describe your driving habits or points of view, then a lease may not be right for your situation. You like to keep your cars a long time. If you see your car as a long-term investment, then a lease may not be for you. Since you have to hand it in after the lease period is over, and face higher interest rates should you choose to buy it out at the end of the lease, it is not the best option if long-term ownership of the same car is your plan. You drive a lot. If you are driving above the average mileage every year, then you are likely to have a hard time keeping your car’s mileage within the lease’s limitations. Over-mileage penalties can be very stiff and add up quickly when you drive a lot, significantly reducing the savings that a lease can offer. In that case, buying a car may make more financial sense. You are adventurous, accident-prone, or just plain unlucky. If all of your cars tend to accumulate scratches, dings or fabric tears quickly, whether it is from engagement in off-roading or motorsports, pet ownership, or other reasons, then you may face a hefty reconditioning bill from the leasing company at the end of the lease. Depending on the severity, those charges can easily overshadow the savings that a lease offers. You like tinkering with your car. Making your own modifications or customizations to your car, including installing aftermarket parts, can void your car’s warranty and fall afoul of your lease agreement. If you are the kind of person that starts browsing for improvements for your car’s appearance and performance after a few months of driving it, you may want to give leasing a pass. You aren’t sure if you will be able to drive the car for the entire lease period. Once you’ve signed the lease, it is a very difficult agreement to cancel. If you find yourself with a health issue limiting your ability to drive, find yourself posted overseas, or otherwise lose your ability to drive the car, you may not be able to cancel your lease and be stuck making payments on a car you aren’t driving. If none of the above limits or restrictions are a problem for you, then a lease could certainly be the right option. On the other hand, if you find yourself strongly agreeing with any one of those statements, then you will probably not be able to get the full value you want out of your leased vehicle. In that case, considering other options such as financing may be the best idea. In addition to those general questions, it is a good idea to compare the different leasing offers that are available on the vehicles you are interested in and see how they stack up with financing offers on the same cars. Since leasing can vary model to model, and even depending on the time of the year you are leasing, it is important to make sure that you explore how leasing will work for your specific needs and requirements. If you’ve done your research and come prepared, then a lease can truly offer excellent rewards and benefits for you and your family. 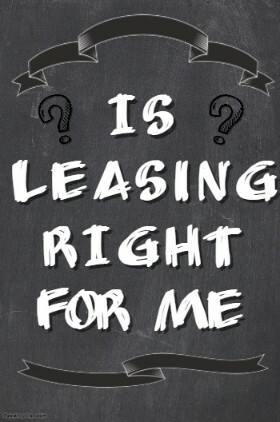 Because many consumers do not have a good understanding of how leasing works, as well as the various practical and legal nuances of leasing agreements, there are many misconceptions and misunderstandings about what leases can offer and the responsibilities that they entail. An oft-repeated misconception among many car buyers is that all leases are bad deals for the customer, and are only designed to maximize the profits of car dealerships and finance companies. While these companies certainly benefit from leases, so do customers. Depending on your needs and requirements, a lease can allow you to get a more expensive car, a lower down or monthly payment and give you more flexibility in car choice. Depending on what you want to accomplish, a lease can be the more cost-effective option in many cases. On the surface, leasing and renting seem similar: in both cases you drive a car for some period while making payments and then return it to where it came from. But that is where the similarities between the two end. Renting a car is generally a short-term, open-ended contract, where you are merely paying for the use of the car. You can extend or shorten it as necessary without problems, which is not possible with a lease. 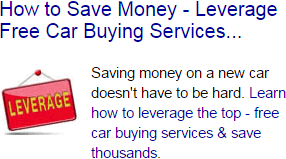 It is also generally much more expensive than leasing a car for the same period of time. More importantly, in a lease, you are making payments on the depreciation and finance charges, whereas when renting, you are simply paying a usage fee to the owner of the vehicle. You are also responsible for maintenance of your leased vehicle and its long-term condition, so it is a good idea to avoid treating it the same way one would a rental. Contrary to popular belief, the dealership does not own your car when you are leasing. The legal owner of the car is the leasing company that is financing your lease, but it cedes many of the rights and responsibilities of car ownership to you. This is similar to the relationship you have with the bank when you finance the car, though in that case, you are the owner, but the bank has some rights when it comes to the car until you’ve paid it off. The dealership itself has no stake in the car once they’ve been paid and you’ve driven the car off of their lot.